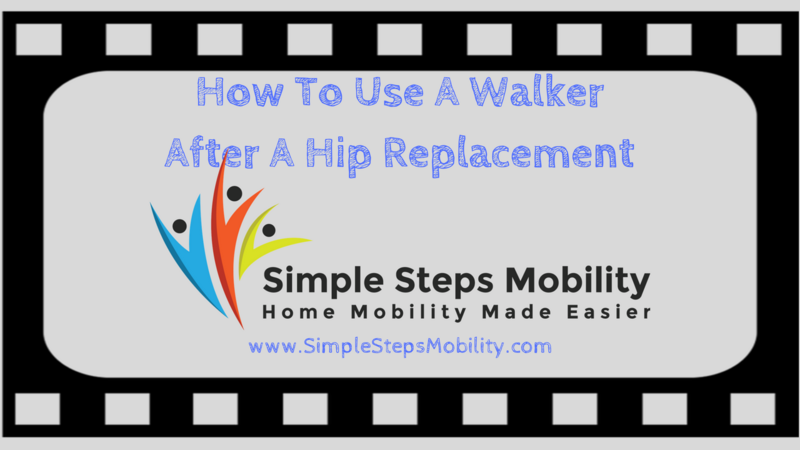 This blog post will consider how to use a walker after a hip replacement. Its basically fairly straightforward. If/when you had/have a hip replacement, physical therapy generally is tasked with getting you up and going on a walker before leaving the hospital. So, this blog post may be a refresher for some. In most cases, the hip surgeon will encourage a patient to get moving as soon as possible after a surgery. For some who’ve tolerated the surgery well, it may be the same day as the surgery. In general you will use the walker, say, for the first four or five weeks after having the hip replacement surgery. This is to make sure that you don’t fall and that you don’t keep the tissues irritated. The first thing you want to be aware of is that there is an optimal height that your walker should be adjusted to. You’re going to want your walker height adjusted to the level of the bend in your wrists when you’re standing up straight. Having your walker adjusted to this height will make sure that you’re able to use your arms to get enough leverage to keep weight off your sore hip when you’re walking. If the walker is too high or low, you’re not going to maximize this benefit and may end up being more sore than necessary because you’re putting too much weight on your operated side. The next thing you should be aware of coordinating moving the walker with your steps in order to, again, keep too much weight off your repaired hip. Therapists call this “sequencing”. The “proper sequencing” goes like this: Advance the walker, bad foot, good foot. When you do it this way, your arms are able to take a lot of the weight off your surgical leg so that the irritation is at a minimum. So let’s assume that I’ve had my right hip replaced. Okay, what I’m going to want to do after a right hip replacement is adjust my walker for my height. I want the handles of the walker to to hit me at the bend of my wrist. Remember, it’s my right hip that’s sore and painful. When I want to start walking, I advance the walker first, then bring my sore leg forward first and plant it flat on the floor. Now, here’s an important point: I have to put my weight through my arms and not my sore leg. Then, I bring my good leg up following. Then I just repeat this sequence over and over to get where I’m going. The following video goes over how you use a walker after you’ve had a hip replacement.